Riverdale star Cole Sprouse took to Twitter to remind social media haters that there is absolutely no place for cyber-bullying, especially when that hate is directed toward teenagers. 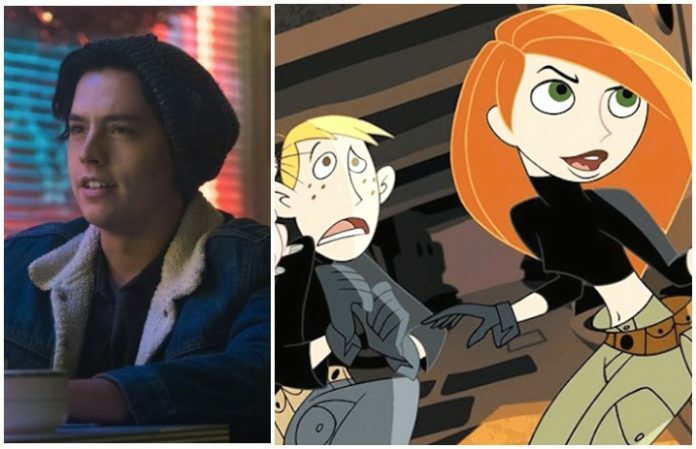 Fans were elated to learn we would be getting a live-action Kim Possible movie, bringing some nostalgia to the big screen. Disney later announced newcomer Sadie Stanley and The Goldbergs star Sean Giambrone would be starring in the Disney Channel movie as Kim Possible and Ron Stoppable, sparking criticism with some fans over the casting. While most were happy with Disney's casting, there were a few fans—mostly adults who grew up with the animated serieis—who strongly disapproved of the casting claiming it “didn't align” with their memories of the show. Cole Sprouse took to Twitter to respond to those leaving hateful and hurtful messages toward the teenage celebrities with a very important message. The live adaptation of our beloved Kim Possible is set to go into production this summer and debut in 2019. Check out Disney's adorable casting announcement below—with the original Kim and Ron! Here's the sitch fam. Cyber-bullying is never OK, even directed toward celebrities. The haters could learn a thing or two from Sprouse's words and, hopefully, the next time they go to post they'll think before they tweet. Are you excited to relive the Disney Channel nostalgia on the big screen? Let us know in the comments below!